Today I hope to help you learn how to market your catering business and save you some of the time and errors we made along the way. When you think of marketing it is not just advertising. 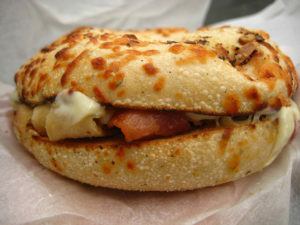 Advertising is just a part of marketing your catering business. Advertising or promoting your catering business is getting the word out about your product or service but with marketing you need to think about every aspect of your catering business. 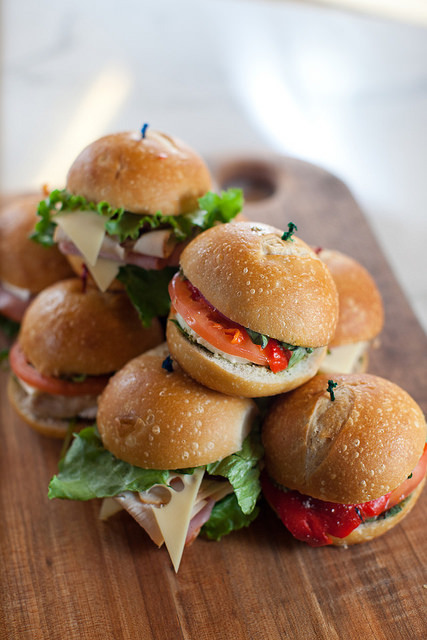 Before you can start advertising your catering business you need to develop your product. The first thing you need to do is create a menu and come up with pricing. 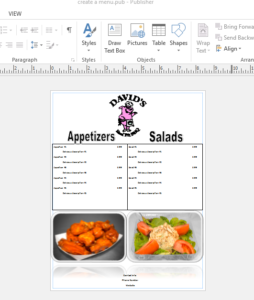 After you come up with what is going to be on the menu you need to start thinking about the design of the menu. Are you going to have professional looking photos of your food to help sell your product or a black and white list of a la carte items? Are you going to price the items per person or put together packages for a set number of people? There are no right or wrong answers but these are things you need to think about when you develop your menu and how your customers will perceive your catering business. Is it going to be easy for them to order and find what they want? Or do they have to ask you a lot of questions to figure out what they want? 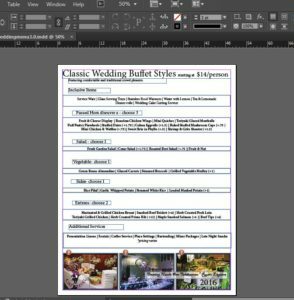 You want to design this menu with the customer in mind and make it easy and enticing for them to order catering from you. Make sure you have contact info! As you create your menu you will also simultaneously have to develop your product. I’m not just talking about the recipes. You need to think about portion sizes and everything else that is going to come with a package. Are you including dinnerware? What condiments will they need? Are you going to put everything in aluminum catering pans or are you going to invest in some nicer plastic bowls for some salads or other side items? Does it come with drinks? You need to think about EVERYTHING before you finalize the menu and prices. Again, there are no right or wrong answer it simply depends on how you want to be perceived in your market with your customers. It literally takes five minutes to setup the food for the customer so we recommend you train your staff to do this. When we started getting more catering sales we started hearing comments from our customers about our competitors who would simple pile up the food on a table and take off. We knew this was a way to start looking better than them and made sure all of our staff did this. OK now you have the details of your menu and service finalized, it is time to start selling! I know if you have a sense of pride you want to rely on word of mouth but let me tell you, you might be waiting a while for things to start picking up. Those success stories of places going viral quickly are few and far between. To be sure, you want word of mouth referrals once you start growing because they are the strongest referral. 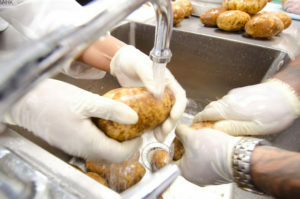 As you grow they will also start to snowball if you are doing your job well. But no matter how good your product is, you still have to go out and sell it. You see all of the national chains selling, why would they do this even though they already have so much brand recognition? Because it works. 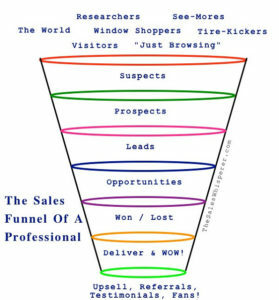 To start a sales funnel you need to have systems in place to constantly look for potential new customers. There are several ways to do this that I have mentioned in other posts. As you start getting leads you can add them to your database. This is important because while these prospects might not order from you right away, you can start sending them emails or direct mail pieces so you stay top of mind with them. Eventually, maybe you will send something out that entices them to order. Or maybe their current favorite caterer makes a mistake and they decide to give you a try. Either way, you can send emails and postcards for just a couple dollars a month per customer which is well worth the investment. Plus, as your list grows, so will your responses and therefore your sales. Now the ball is really starting to roll, you have your menu and products developed and you have started to get some sales from your sales funnel system. This is when the fun starts to happen. This is when you get to start testing different promotions with your database. 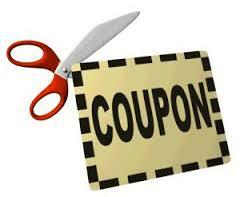 You can send out coupons or discounts, limited time offers or introduce new menu items. Some will work great and some won’t do squat. But that is OK because one, you are still getting your name in front of your customers and two, you are learning what your customers respond to. 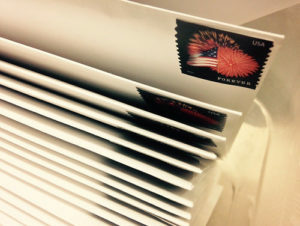 I would recommend sending out one email and one post card every month. You can send two emails some months if it makes sense but any more than this and you may see people begin to unsubscribe quickly. Almost every time I send an email I will get a response or two instantly of a customer saying something like “I was just about to call you guys!” Sometimes you need to remind your customers to place an order! If your product and service are good then you will find it much easier and less expensive to get your customers to order more frequently. As your customer base starts to grow you can spend less time and money prospecting and pay more attention to the awesome customers you already have! I know I only went into each part of marketing your catering business briefly but I hope you are not thinking about the business as a whole and not just advertising. While advertising is important, if you make sure all other aspects of you marketing (product, presentation, etc.) are solid, you will either not have to spend as much on advertising or it will be much more effective. Let me know if you have any questions on any area in the comments below!